The 2008 Canadian UFO Survey has been released by the independent, non-profit research organization Ufology Research, based in Manitoba, Canada. Researchers noted 1,004 UFO reports across Canada in 2008, an increase of 26 per cent over 2007. Reports had been filed by witnesses with government and military agencies, police, civilian UFO groups and online UFO websites. Ufology Research began its national collection and analysis of Canadian UFO reports in 1989, making this the 20th year sightings have been studied. A 20-year longitudinal study of the data will be released later this year. Of the hundreds of reports in 2008, only about 10 per cent were labeled as unexplained after review. And of these, less than one per cent were “high quality unknowns” that were both unexplained and had above-average levels of investigation and documentation. 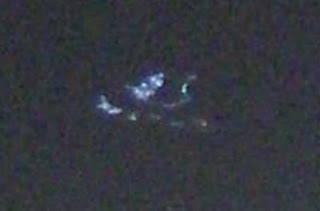 Cases ranged from the relatively commonplace reports of starlike lights in the night sky to large, V-shaped craft flying slowly and ponderously over homes in rural or urban areas. Ufology Research’s statistical analyses of the Canadian UFO data also found details such as that most UFO sightings have two witnesses, most UFOs are white in colour and that the typical UFO sighting in 2008 lasted an average of 18 minutes. What’s more, “flying saucers” are comparatively rare, with reports of triangles and spheres much more common. Despite the remarkable increase in reported UFO sightings in Canada, Rutkowski cautions that, popular opinion to the contrary, there is still no incontrovertible evidence that some UFO cases involve extraterrestrial contact. Suffering a headache, I went outside to get some air, and just happened to gaze up at the bright star in the west, which might be mars, I don't really know. As I was standing there, a much smaller light came into my field of view, and steadily moved across the night sky, passing the bright star. Just past there, it dipped slightly, twice, then slowly raised to the original trajectory. The object was not flashing, as the aircraft that normally pass over do. It was MUCH further up than any aircraft I've ever seen. This was not an airplane, helicopter, or anything else we fly about with. The object continued across the sky, until it was just too far away to see. I was surprised to see this object, but I stood there watching, half expecting it to start flashing like an airplane. It never did, and I watched until it was gone, then went inside, sat down, and told my husband what I saw. Assuming the time given is right, there were a few candidate satellites visible around that time, including a bright 3.5 mag Lacrosse at 1757 local. Could be. I was with a friend at the time in the Delta Suites Hotel, downtown Toronto when I noticed a bright light that looked like a star but was much bigger and very close as you can see. It was impossible to make out the shape with naked eye but it was clear that this star like object was not supposed to be there so I took my friends camera and zoomed in for this shot. I knew it was something unusual and have still not figured out what it is.Some of my friends have seen the pic but we are not sure what it is so I posted it on that site. The object remained in place for more than 45 minutes and then slowly drifted towards to the right and out of site. The sighting description sounds like a star or planet, but the photo doesn't match the description. In fact, it does look like a saucer, doesn't it?